Designed to cover hikers and campers from thunderstrokes, the tent offers a safer and comfortable place for inhabitants. The tent is made from ultra lightweight materials, so it can be easily carried to any desired location and assembled conveniently anywhere. Materials used in making the tent are able to withstand unfavorable weather conditions such as strong winds, rain, storm and lighting. This is because the fabric prevents the tent from acting as a conductor when lightning it present. So, thunderbolt cannot harm your camping pod even in the worst climate. 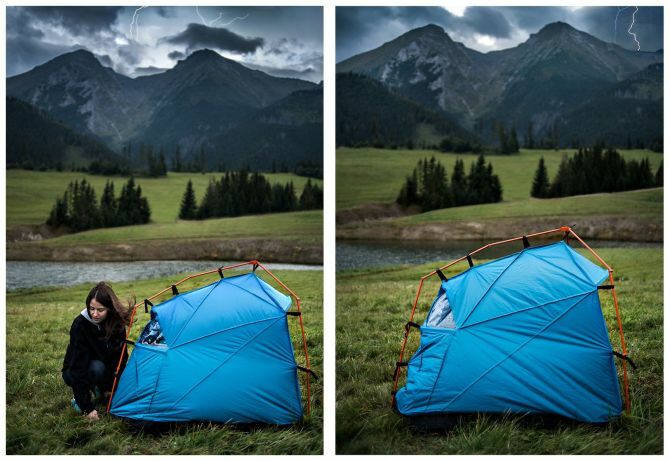 Bolt Tent comes in three models: Bolt-Half, Bolt One and Bolt Air. Bolt One is lightweight and compact tent that’s meant for one-person with full lighting protection. 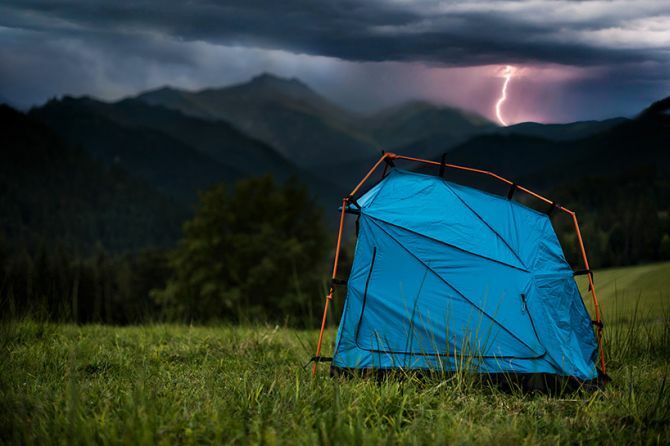 Bolt Air is ultra-lightweight and pneumatic tent along with a groundsheet for protecting the inhabitants from injuries due to thunderbolt. Due to its small size, its easy to put up in places that are usually not meant for standard tents. Lastly, the Bolt-Half is also a lightweight tent with full lighting protection and indispensable in difficult weather situations. This one also can be setup at unsuitable places such as ledge, ridge etc. So, these different Bolt models are idyllic for rugged outdoor adventure and must-haves for any adventure junkie. 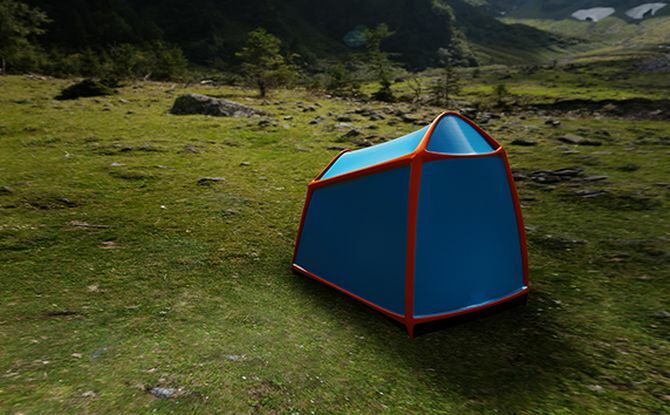 This is not the first time when protective camping tents have been made, before this we’ve even featured Siesta 4 Tent that reflects harmful UV rays to keep interior cool, even in a dessert. 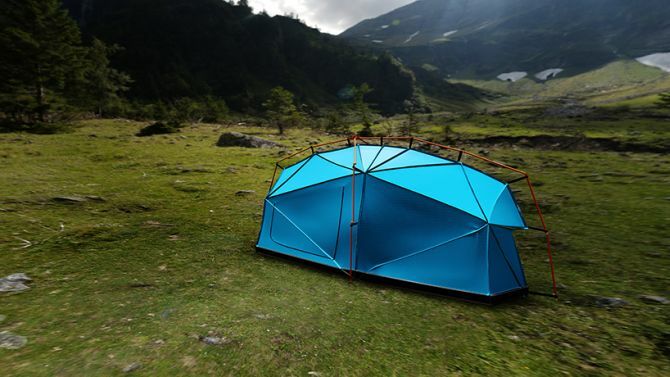 Such revolutionary tent designs prove that consumers are getting more into outdoor adventures to escape the world. Therefore, for their utmost comfort in rugged outdoor locations, suh protective tents play a major role.